Risk indicators include a lack of stable housing, unemployment, addiction, and mental health issues. With California’s growing focus on criminal justice reform comes expanding use of reentry courts as an alternative to cycles of re-incarceration. 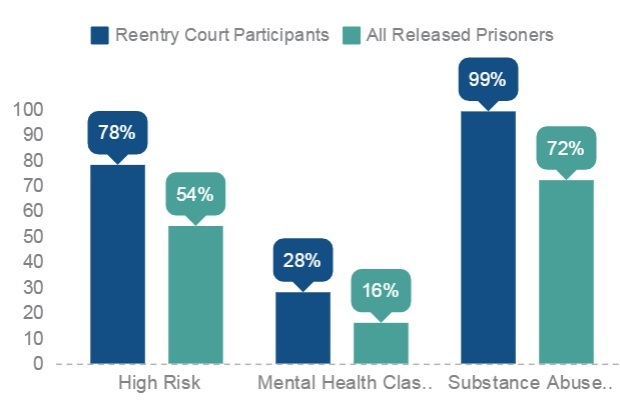 Reentry courts, a type of collaborative justice court for individuals released from jail or prison, offer high-risk defendants community-supervised services, with an emphasis on treatment, in order to reduce recidivism and increase public safety. 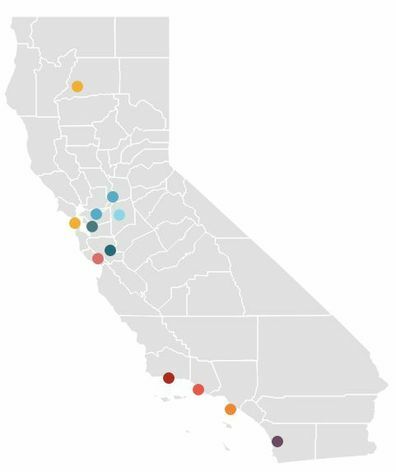 Piloted in six California superior courts with funds appropriated by the Legislature in 2009, reentry courts have now doubled to twelve statewide, despite years of judicial branch budget cuts. Two more are in development, with technical assistance, and funding in some cases, provided by the Judicial Council. A 2013 study of the pilot effort revealed several promising outcomes, and the Judicial Council is working with courts to build on those results. At a recent council-supported roundtable, more than 60 judges, attorneys, and justice partners learned about establishing and sustaining a reentry court.